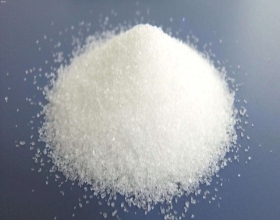 Yingkou Daze Magnesium Oxide Industry Co.,Ltd is manufacturer for magnesiux oxide and magnesium sulfate . Our company is located in Dashiqiao---the Magnesium City of China with advantageous geographical location. The company has abundant ore resources, rich technological strength, advanced manufacturing facilities and perfect system of quality management. Yingkou Daze Magnesium Industry Co., Ltd. is a professional manufacturer of magnesium oxide , magnesium sulfate. Our company is located in Dashiqiao---the Magnesium City of China with advantageous geographical location. The company has abundant ore resources, rich technological strength, advanced manufacturing facilities and perfect system of quality management. The manufactured dead burnt magnesite, caustic calcined magnesite, fused magnesite, low iron magnesium oxide using heating element, electric welding machine and electrode, refractory mortar, refractory brick.